John Chiang is starting ElectAAPI.org to support AAPI candidates. 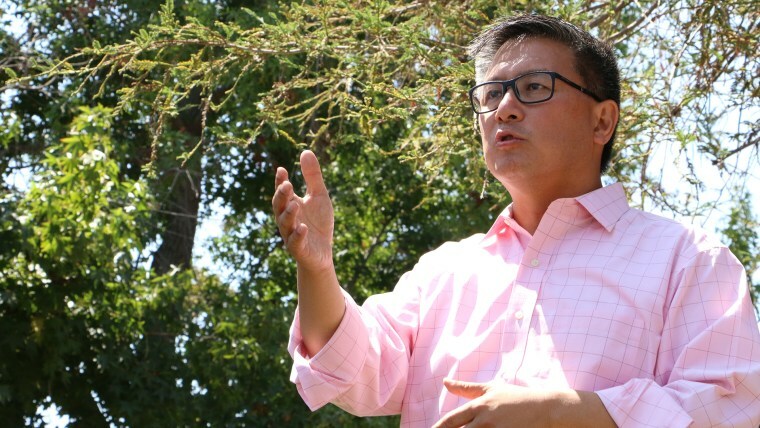 John Chiang, the former treasurer of California, is starting a political action committee to help Asian-American and Pacific Islander Democrats get elected, he announced Thursday. The committee, ElectAAPI.org, aims to “take a stand against the discriminatory, right-wing agenda being propagated by the Trump administration,” according to his announcement. The committee plans to make direct financial contributions to candidates as well as mobilize voters and volunteers, its websitesays. According to Census Bureau data published in 2016, Asians have been the fastest growing racial group in the U.S. since 2000. 2017 estimates put the population at about 21 million, or about 6.5 percent of the total U.S. population. National exit polls in 2016 foundthat 65 percent of Asian Americans voted for Hillary Clinton, compared to 27 percent for Donald Trump. The Native Hawaiian and Pacific Islander population has also grown in recent years, numbering an estimated 1.4 million, according to 2017 estimates. This entry was posted on Thursday, March 21st, 2019 at 8:15 PM and is filed under ISSUES, NEWS, Politics. Thankyou John for continuing to empower our AAPI leadership and communities including our Filipino American community. Exciting to see this new journey! Maraming Salamat-Thankyou ! Mabuhay !